Why do I have dark underarms? Preventing Dark Underarms in the First Place! Have you noticed your underarms are noticeably darker recently? You are not alone! Dark underarms are a common gripe in women AND men around the world. Dark underarms affect predominantly African Americans and Hispanics the most, but every ethnic background has been known to come across this condition. Dark underarms can be caused by a variety of reasons, rarely by serious health conditions, but can easily be prevented and treated with a number of easy solutions to whiten or bleach the armpits to a lighter skin tone. These methods also include altering some of your personal hygiene habits and purchasing decisions with solutions you can buy, or if you have time, make on your own. Dark underarms can be caused by a variety of things including dead skin buildup, chemicals in deodorants and antiperspirants, shaving, bacterial infections, or more rare, a medical condition called acanthosis nigricans. As mentioned earlier, your ethnic background can make dark armpits more pronounced. But the chief reason for this condition tends to usually be due to hair removal methods and dead skin build up – so while we recommend you read all of the below to rule out all causes, do not get stressed out! The most common cause of dark armpits can be as simple as dead skin cells – sometimes the gel or bar soaps we use do not properly cleanse the underarms well enough to remove dead skin buildup which causes the appearance of black or dark underarms. Below we provide tips on how to better cleanse your underarms and remove dead skin buildup easily to remove the dark appearance. Deodorants have been linked to many health issues, including increased risk of breast cancer and Alzheimer’s disease. This is often because of aluminum that is added to help block underarm pores to reduce or prevent sweating, unfortunately, this then clogs pores and causes bacterial infections which then prevent toxins from escaping your body and create a dark tint – talk about a domino effect! Deodorants and antiperspirants also contain color dyes and perfumes among other ingredients that can interact with your body and cause dark armpits or other discolorations. There are cases of people halting the use of deodorants alone and their dark armpits become lighter in color. And with so many natural deodorants available, it is easy to leave behind toxic deodorants! 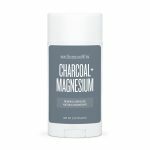 We like the Schmidt’s brand of deodorants, especially the Charcoal and Magnesium line which is great for those who sweat more. Charcoal is natural (and known to whiten skin itself) and absorbs toxins from your body while magnesium is actually good for you. Compared to other natural deodorants, this one actually works and keeps your dry! See other suggestions below. Most women shave their armpits, but since the hair in your armpit is likely darker than your skin, it can cause a dark skin appearance when the hair grows back into stubble. Other methods of removing hair will reduce the appearance of darker hair or stubble when it grows back, including waxing, sugaring and laser hair removal. Sometimes a bacterial infection can be causing a condition known as Erythrasma/Corynebacterium minutissimum bacterium, which starts out as pink spots in your armpits and later turns into brown lines. These pink spots are essentially infections of your skin at the superficial level. If you notice this color in your underarms then it is likely a bacterial infection. Similar to Acanthosis nigricans (discussed below), it is commonly found in persons with diabetes mellitus (diabetes) and favors persons living in warmer areas. This infection and its symptoms tend to occur in areas of the body where it is warm and the skin folds such as groin and underarms. It is often treated with antibiotics available in digestible pills or as a topical cream. Treatments for this tend to be very effective, especially with the oral antibiotic course (erythromycin). If you suspect you have this condition (and keep in mind – it is rare), consult with your doctor or a dermatologist. Acanthosis nigricans is a skin condition similar to Erythrasma with symptoms of dark skin combined with discoloration of body folds and creases. This medical condition is commonly found both in healthy people but also those with insulin disorders and diabetes conditions. This condition is also associated with persons that have Addisons disease, pituitary problems, hypothyroidism or those on hormone therapy, including birth control pills and some cholesterol medicines containing nicotinic acid. If the areas of your body that are dark feel very smooth you may want to seek a doctor or dermatologist evaluation and maybe check your insulin levels to rule out diabetes or insulin disorders. A side effect of some medications is skin darkening – this is unfortunate because if someone is taking medication it is usually because they have another problem they are trying to treat. Some of the most common medications that cause skin darkening are amiodarone, antimalarials, mental health drugs, chemotherapy medications (cytotoxic drugs), phenytoin, tetracyclines, non-steroidal anti-inflammatory drugs (NSAIDs) and heavy metals. Darkened skin as a result of medications represents as much as 10-20% of all cases, so it is an important area to consider, although the elderly are more prone to this condition than other groups. If you’re taking one of these classes of medications consult with your medical professional about stopping it if no longer necessary, substituting with another medication or at least reducing the dosage. In writing this article, we’ve realized there are TONS of ways to whiten your underarms – below we have listed our favorite and most effective methods. But a key point we found is that combining the below five strategies works best so that you are always working to lighten the skin in your armpits. Here are our four top tips for turning dark underarms lighter with more detailed notes further in the article! We like the idea of a whitening soap – since you bathe regularly, this is easy to implement and it also prevents darker skin in the first place. Once you are in the shower, it is easy to use this on your underarms and clean up. It’s also inexpensive. Use a whitening soap on your underarms and continue using a normal soap/bathing gel for the rest of your body. 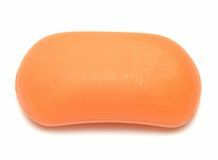 We like this soap named Vi-Tae Organic Papaya Soap, which contains papaya, a natural whitener also described below in more detail. It has pretty good reviews on Amazon. Exfoliating is a crucial step in whitening your armpits – this is because of the dead skin buildup caused by a variety of conditions and products mentioned earlier in the article. Exfoliating your entire body can help your skin feel more supple and youthful, and of course, incredibly smooth! Exfoliating your armpits will remove dead skin buildup that contributes to darker skin in the underarm area. We recommend a loofah or other exfoliating solution. Below we have recommended some of our favorite picks. Bath & Relax New Bath Body Brush Back Scrubber: This set of three natural scrubbers are intended for the face but can also safely be used on your underarms, the set of three includes a pure white konjac natural sponge, an activated charcoal sponge (which is a whitener itself), and a green tea sponge. Bath Loofahs: This package of four loofahs can be used throughout your body and come in assorted colors -they are made from recycled materials making them eco-friendly. Botanic Hearth Whitening Serum: This well-rated skin whitening cream is made with licorice and other organic ingredients such as aloe and essential oils. This well-rated deodorant is our top choice for it includes charcoal which is known to whiten your skin. Charcoal is also great in that it absorbs toxins and given your armpits are a key area of the body which produces sweat and in that sweat toxins, it makes it a wonderful ingredient. Magnesium is also very healthy for the body, most recently known to be beneficial for the heart. Lastly, the product also makes use of arrowroot – which has an earthy smell so we consider this deodorant to be for unisex. Note: this product does not contain aluminum – a big plus making it one of our favorite deodorants to stay healthy and whiten your armpits. This inexpensive deodorant is rated well with mixed results from purchasers and is offered by a well-known brand. This deodorant contains witch hazel and licorice. We could not verify if this product contains aluminum or not – we assume it does. Similar to the above deodorant, but for individuals with sensitive skin. It does not have many reviews at the time of writing this article. Note this is a spray and not a roll-on, a roll-on for sensitive skin couldn’t be found. These tend to be best for ease of use, price, availability and ability to use for other applications (i.e. charcoal can also be used for whitening your teeth or face, stomach ailments and more). See below for instructions on how to use them and amounts needed. We also list other solutions below. For other skin whitening creams you can buy please visit our best skin whitening creams for dark skin post! 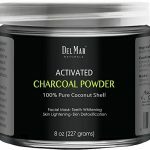 Charcoal powder has exploded in popularity over the last few years for its ability to remove toxins from the body. It has been used for thousands of years actually, well known for its ability to remove toxins from the stomach (which is still used today in hospital emergency rooms) and because of this powerful attribute, charcoal also removes impurities from the skin which can lead to discoloration. More recently, charcoal powder has become popular for teeth whitening, and you guessed it, bleaching your armpits. Most people are in disbelief that something so black could help bleach or whiten your underarms but it is true. Charcoal powder is messy, so we recommend making a paste – our easy recipe will get you started! First, make sure your underarms are clean before applying this mixture. If you have deodorant on or have built up the sweat, it will reduce its efficacy. Once the ingredients and combined into a paste apply liberally to the underarms using a cosmetic brush – the mixture should not be too runny so do not whip the ingredients. If the mixture is not completely black, you did not use enough charcoal. Charcoal helps to remove dead skin cells and toxins – some of the chief reasons for dark underarms. Our recipe is made with honey which also helps whiten but also helps prevent the charcoal from going anywhere (charcoal is not good when it ends up on your clothes or walls!). 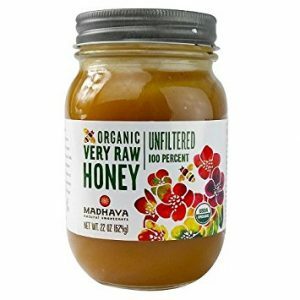 As mentioned above, we recommend raw organic honey – some cheap honey is not really honey and can contain toxins, so what’s the point! Use a cosmetic brush to apply to the underarms and let it absorb for 25 minutes. Charcoal comes in a variety of formats – tablets (normally used for stomach issues), powder (great for teeth and armpit bleaching) – both can be used both powder is the easiest. Baking soda (sodium bicarbonate), a popular and easy to find ingredient has many benefits for your skin including lightening your underarms through exfoliation – this recipe combines it with raw organic honey for a safe powerful combination. Combine 2 tablespoons of baking soda with 1 tablespoon of water or honey into a thick paste in a bowl. Remember we suggest an organic aluminum free baking soda and filtered water. Apply the paste to your underarms, by gently massaging in a circular motion for a minute or two to help ensure the paste coats the skin well. Leave the paste on for another 30 minutes and then wash it off. Apply 2-3 times a week for best results. Baking soda whitens because it gently exfoliates the skin, a common reason for black or dark armpits. It can also help even out the tones of the skins in your armpits. Baking soda helps balance pH levels in your skin which promotes skin health – and will help you and your armpits look great! Baking soda is an anti-antioxidant and also contains anti-microbial properties – useful to prevent bacterial infections (as mentioned above, they can contribute to darkened skin). Baking soda controls excess sweating and oil in your armpits that might be contributing to dark underarms, given sweats and oil can contain toxins. 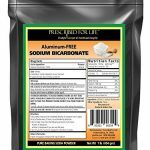 We strongly discourage the use of baking soda with aluminum, so check labels or use our recommended baking soda listed above. Aluminum is quite bad for your health and applying products that contain it, in the underarm area contributes to health issues. 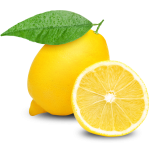 For centuries, lemon has been used as a powerful bleaching agent for skin and hair. The vitamin C and alpha hydroxy acids found in lemon also help nourish and exfoliate the skin. Lemon also helps clear blemishes which also aids in skin lightening. Wash and squeeze lemon juice into a glass or bowl. Combine 2 tablespoons of lemon with 1 tablespoon of water into an in a bowl. Remember we suggest organic lemon and filtered water. Rich with alpha hydroxy acids power lemon’s powerful exfoliating properties. Lemon’s anti-microbial properties help clear blemishes and bacteria. For some persons, lemon might irritate the skin, this is due to acids in the lemon If this is the case, you might want to consider mixing it with raw organic honey or aloe vera. 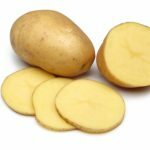 Besides being a very popular food to eat – potatoes contain catecholase, an enzyme bleaching property along with vitamins and minerals that control pigmentation and lead to lighter skin. Potato juice is also a great whitener because it is gentle compared to some other methods and can be combined with other ingredients for extra lightening power. Find out below how potatoes can help you (and perhaps make a good snack too!). Gently massage the white part into your armpits for three minutes. With the enzyme catecholase, potatoes whiten the skin but potatoes also clear acne scars, blemishes, and dark spots. While you massage the potato in your skin, a very gentle exfoliation occurs and removes dead skin cells and impurities from the skin. Potatoes reduce melamine production which can trigger darker skin. Potassium which helps moisturize and provides the skin with hydration. Vitamin B6 helps the skin repair itself, especially helpful after sun, wind and makeup damage. Calcium heals dry skin and protects the outer most layer of your skin which faces the most abuse daily. Magnesium which fights with free radicals that cause wrinkles. Vitamin C to boost collagen development which firms the skin and keeps it elastic – preventing wrinkles. Zinc which prevents damage to skin and repairs damaged cells and tissues. Some residue and some juice from the potato may form – that’s good! Let it absorb into the skin for 20-30 minutes to do its work. You’ll then want to rinse it off, although some people just wipe off excess juice or potato particles. Some people will apply this before sleeping and leave it in all night – given potato is not particularly irritating, this should work for most people. Again, we strongly recommend organic potatoes. Synonymous with spas and skincare (think of women with cucumber slices on their eyes) and salads, cucumbers are an effective armpit whitener that gently lightens skin while moisturizing and nourishing it with many vitamins and minerals. A bonus with cucumbers is that they do not irritate the skin but rather soothe it. Perfect for those with sensitive skin! Wash cucumber, scrub gently with hands to remove any surface dirt or residue. Grind the cucumber until you create a juice. If you have a juicer, that will work too of course, but will then require extra cleanup. Creating some extra juice will allow you to store it for a few uses. We recommend using all juice within 2-3 days. 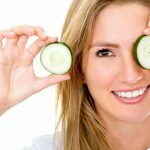 Cucumber is associated with spas for good reason – it is great for hydrating skin given its high water content – this prevents dryness, flaking skin which then prevents itchy skin that can peel. Vitamin A to stimulate cell creation and keep them healthy – the basic building blocks of skin. Vitamin C helps your body create collagen resulting in firm, healthier skin. Vitamin B1 for better blood circulation – better circulation means the skin receives nutrients better and reduces toxins from your skin. This will help in making your skin more healthy in general. Potassium and biotin speed skin repairs and prevent infections. The tasty orange doesn’t only make sense for breakfast, but it also helps you lighten your skin too especially skin spots. If you buy and eat oranges then this recipe makes sense – save the orange peels and read below how when combined with milk – it makes a wonderful soothing skin lightener. Apply to your underarms for at least 30 minutes and wash off. Because of dairy content, we do not recommend leaving it overnight. Vitamin A stimulates new skin cell production as well as fibroblasts. This is important because after you exfoliate your skin (recommended here), you’ll want to skin to develop and new skin is normally lighter than old skin exposed to bacteria, deodorants and so forth. Vitamin C helps prevent aging effects of the skin – which in turn can prevent discoloration and counter free radicals and bacteria in the skin. Calcium also helps the body determine how quickly new skin cells need to be generated and to release dead skin cells, which may accelerate skin whitening. Some people prefer to use yogurt instead of milk. As with other citrus fruits, acid can be an irritant although the diary should minimize any irritation. 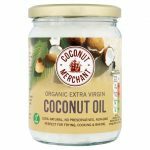 Coconut oil has exploded in popularity over the last five years, and for good reason – it is jam-packed with vitamins, minerals, antioxidants. It is also known to be antibacterial, antimicrobial as a result of its medium-chain fatty acids. As you might have guessed, one of coconut oil’s other talents is whitening! Coconut oil is unique in terms of whitening though and depending on who you ask, Coconut Oil might darken or lighten the skin. Well, who is correct? Both! Coconut oil is probably best described as a skin pigment balancer or regulator meaning that for persons with hyperpigmentation, it will reduce darkness, and for those with lighter skin, it will increase it. Just massage a teaspoon of oil into your armpits. Leave in for at least 30 minutes, but you can also sleep overnight in it. This is a powerful recipe – coconut oil has long been used for whitening in the body (teeth and skin) for centuries! Combined with the proven whitening power of lemon, your armpits will be lighter in no time. Coconut oil is rich in saturated fat and will act as a general toner to your skin. Trace amounts of a few vitamins and minerals support coconut oil’s amazing abilities including iron and vitamin E for oxygen transportation and nourishment of the skin while keeping free radicals at bay. Be careful not to overapply – you do not want oil running down your arm, staining clothes or furniture. Given coconut oil’s many health benefits for the skin, we recommend it as a general tonic for the skin that can help whiten and reduce any beauty markers while moisturizing your skin – a great combination. Beware, if you suntan, and use coconut oil (which by itself is not safe), it will promote tanning. But that’s because the oil is essentially amplifying the sun’s power. Buy organic, unrefined coconut oil (so you can also eat and cook with it). You could also combine the coconut oil with other ingredients, like papaya, aloe vera, and charcoal to increase the whitening potency. One of our favorite natural remedies for its extreme versatility is apple cider vinegar – from insect bites to alkalizing water, flavoring salad and even for skin whitening, apple cider vinegar delivers! For armpit whitening, apple cider vinegar helps to lighten skin tone aided by its exfoliating properties. As a bonus apple cider vinegar helps clear blemishes, removes age spots and contributes a clearer, glowing skin tone! Apple cider vinegar also helps reduces excess oil in your skin. It doesn’t get any easier than this, just take a teaspoon and apply to your underarms, allow to dry and then wash off in thirty minutes. Repeat 2-3 times a week. You can leave it on your underarms longer if you can tolerate it. You can optionally add some organic baking soda or raw organic honey (see resources pages for recommendations or above) for added strength. We do not recommend combining with another acidic whitening remedy such as lemon. Acetic Acid in the vinegar helps quickly neutralize bacteria with its antimicrobial properties. Alpha Hydroxy acids help exfoliate the skin and remove dead skin cells. Apple Cider Vinegar acts as a general skin toner with its glycol content which helps keep skin clear. Vitamins and minerals prevent wrinkles and spots further making the skin look youthful. It controls oil production in the skin, which can then clog pores, which then can use bacteria growth which then causes darker skin – you get the point. For some, vinegar may irritate the skin so be sure to try it out first in a small area. While you can use any apple cider vinegar, we recommend a raw organic version. 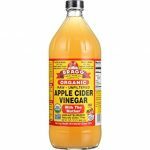 Our favorite is Bragg’s Raw Organic Apple Cider Vinegar, see link above. For all body skin whitening, try bathing in apple cider vinegar. This will help make sure your armpits aren’t too much lighter than the rest of your body! Add 1/8 of a cup to a bathtub of water and soak yourself for thirty minutes. Like apple cider vinegar, olive oil is great on your salad, but it is also a natural skin whitener and moisturizer – no wonder those Mediterraneans have such wonderful skin! Olive oil contains high amounts of Squalene which is responsible for these properties. 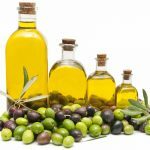 In Greece, Olive oil is used for many skin care products and soaps and has been for centuries, a testament to its proven therapeutic benefits. Very simply just apply some olive oil to your underarms and massage in. For faster application use a olive oil dispenser so you need not spill olive oil each time or use a spoon to measure. Consider adding other natural whiteners for added powerful given olive oil is gentle, see additional tips below. Olive oil contains high amounts of Squalene which is responsible for these properties. Squalene is a fat produced by our liver that plays an important role in skin health – primarily with keeping skin tissues supple and moist. Our bodies steadily produce less of this fat after our late 20s. Fortunately, olive contains a fair amount of squalene. For stronger whitening try combining with lemon juice. Make smaller amounts for better effectiveness. Try a ¼ cup of olive oil with a tablespoon of lemon juice, mix together, apply some to your armpits for at least 30 minutes and then wash off. You should need a minimal amount of each use so this mixture should last for several whitening sessions. If possible buy olive oil that is stored in glass, not aluminum. Honey has been used for thousands of year for a variety of applications from treating wounds to treating coughs! Honey helps moisturize the skin, a key step in whitening it while clearing blemishes and impurities due to its antiseptic properties. Honey helps draw bacteria and impurities from the skin which helps lighten your armpits while lemon’s citric acid also helps neutralize bacteria and lemon’s alpha hydoxy acids exfoliate skin. Consider using honey in combination with other natural remedies, such as lemon or charcoal. Many persons use honey and apply it similar to a face mask, allowing it to harden then washing it off. Tasty and good for your stomach, papaya can also help whiten your skin naturally. Unripe fresh papaya and papaya seed oil can do the trick. 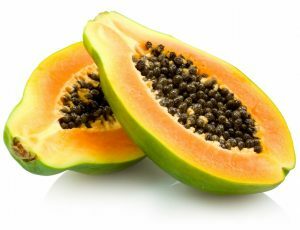 Papaya skin whitening properties are due to papain, a whitening enzyme found in the fruit. Not well known is that the enzyme is found mostly in the peel. People in the Philippines use papaya for skin whitening with great success. Like other natural remedies, it contains alpha hydroxy acids which exfoliate and help clear blemishes. Aloe Vera, popular for soothing sunburns, also helps lighten armpit skin. Its sticky consistency works well as a wrap which lifts impurities and dark spots. Aloe Vera also helps reduce UV rays which can darken your skin (even in your armpits – think reflective surfaces). Besides also clearing blemishes, Aloe Vera is gentle, making it great for sensitive skin with its nutrients and moisturizing properties. 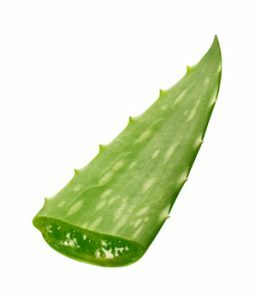 Take an Aloe Vera leaf and cut it in squares about two inches long. This will reveal the jelly like meat of the plant. Then cut that it in half (similar to slicing a piece of bread down the middle for a sandwich) to create half two pieces each with skin. You of these can be used for an underarm whitening session. Aloe Vera also contains anthraquinone which helps remove dead skin cells (remember we identified that as a key factor in skin whitening) while repairing skin damage for healthier looking skin. Aloe Vera is also anti-fungal and anti-bacterial so it helps clear blemishes and dark spots. Like potatoes, we were surprised to learn tomatoes also bleach dark skin. In addition, they can help clear skin, reducing bacteria levels which is another cause as noted above for dark armpits. Plus virtually all households have tomatoes at some point during the week, making this is an easy ingredient to source! Vitamin A which reduces dark spots and blemishes. Calcium to heal dry and flaky skin. Potassium to moisturize and hydrate the skin. Magnesium to give skin a glow and radiance to the skin. 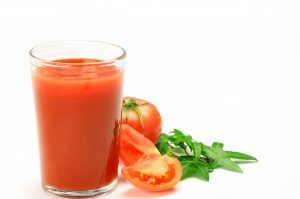 Lycopene which gives the skin protection from UV skins rays (UV rays darken the skin). Some tomatoes contain more acid than others, experiment with different varieties. In general, the better a tomato tastes, the better it will work for armpit whitening. The enhanced taste means the tomato was grown in mineral rich soil. Turmeric, an ancient spice has been used for centuries in Asia for a variety of purposes. Commonly touted as an anti-depressant, pain reliever and stomach settler. Turmeric also works effectively for preventing skin from darkening as it blocks the body’s mechanism of darkening the skin. A powerful spice, it is a must for every home and it a staple in India. creation of melanin which darkens the skin. Turmeric is a strong antioxidant, helping to remove toxins from your skin reducing bacteria which is known to darken skin. Curcumin, a key part of turmeric helps to manage how the body products melanin – melanin is responsible for darkening the skin and is commonly associated with your body’s response to being in the sun – melanin is what gives you a tan! Too much melanin also produces dark spots and uneven skin tones. Turmeric helps to keep the skin moisturized compared to other whitening solutions which may dry out the skin. 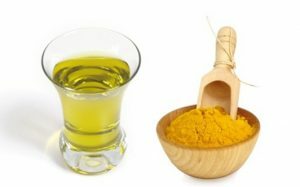 We recommend fresh organic turmeric you can buy in health food stores or online, we found some well-rated options, listed below. Like most remedies for skin whitening, one must reapply often. We suggest at least two times a week. Turmeric is also known to reduce hair growth – it has been used for centuries for removing facial hair. This might be a great remedy given most women shave their underarms! If you leave this on overnight be careful not to over apply so you do not stain clothing or bed sheets. Do NOT shave your underarms! This will create that dreaded hair stubble which gives your underarms a darker appearance! Instead, try sugaring, waxing, laser hair treatments. Some popular products to help you do this at home are sugaring and waxing kits. If you are really burdened by hair removal in your underarms, you might also want to consider laser hair removal which has now been available for some time, with newer machines that are less prone to causing skin issues. Electrolysis: it is not recommended for it causes skin discoloration in some people. Hair removal creams, as they tend to irritate skin especially given the sensitivity of your armpit skin. Give your underarm skin a break! Deodorant free day: Unless you are planning to be very active why not give your underarms a break and skip the deodorant for a day? This is especially good to try if you are not using a natural deodorant. Take a shower before bed and completely wash off the deodorant you used allowing your underarms skin a “break”. Be sure to bathe regularly and use a gentle soap to wash your armpits – for not cleaning well can cause bacteria buildup which can lead to dark armpits – in fact, bacteria growth is the number one reason for dark underarms! Use a loofah to gently remove dead skin buildup from your body. Your body is your temple. If you eat processed foods or those with toxins your body will try to remove them – sweating is one method, and as you may have guessed, the armpits are a key for sweat. Sweat with toxins can cause dark underarms and pits. 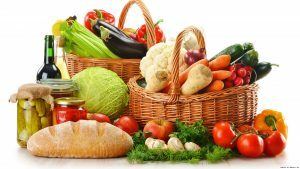 Your diet also impacts your hormone balance which can also cause dark underarms and help you maintain a healthy weight which also tends to contribute to dark armpit skin. Consider a Paleo diet which has yielded amazing results for women around the world – that’s the diet I follow and no one believes my real age – they think I am 20 years younger! Dark underarms are a common problem for many women and men around the world, regardless of your ethnic background. With a little care and focus, you can prevent and treat this condition with the above listed methods. If you suspect you may have a medical condition, please seek an evaluation from a doctor or dermatologist. Please also be mindful of any allergies when using suggested remedies listed above – if you experience a skin reaction or feel dizzy or faint, please discontinue use immediately and seek emergency assistance.